A free and open source media player software application which has been in the buzz for a long time. 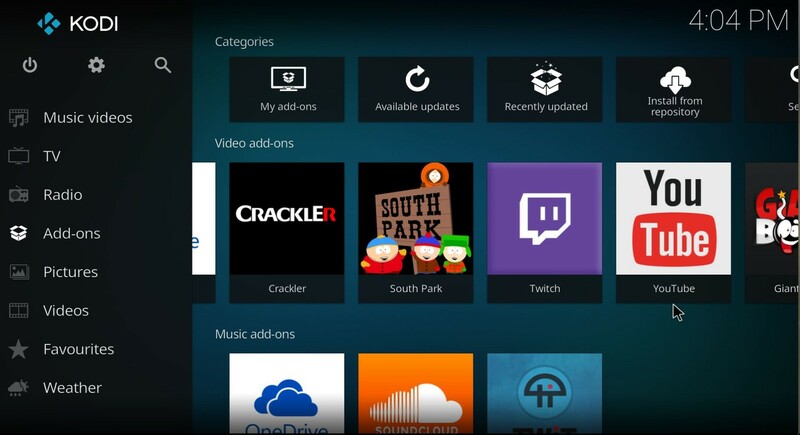 Earlier this application was known as XBMC as it was developed by them. With the wide presence of kodi on all platforms like Mac, IOS, windows etc. Kodi has come a really long way and is become an amazing streaming application, but here is what you need to know. 1) Change the settings level – However, we all know that kodi is an open source software, we must know that it is not a cake walk to crack it. But we can always change the standard settings level option that you will find at the very left corner of it. The other options are basic, advanced and expert that you can choose from. 2) Run Kodi Directly on Smart TV – You can directly install Kodi on Smart TV. Many Modern TVs operate on Android TV OS and it is very easy to install Kodi On them. 4) Change the look – Let’s admit it we all love customizing, although Kodi looks quite good in regular and the standard form. But it is always fun to change the User interface of it. How do you ask? Well it is simple I say, just go to the systems option – settings – appearance – Skin. After you reach here you have to click on “ Get More” to download skins. You can also easily change the themes font, colors, sounds and startup window as well. 5) Enable weather stats- well we all love perks, don’t we? You can now enable weather stats using the settings option. If you want to enable it to go to systems- settings and weather. The normal kodi does not include weather information option so you have to click on the get more option to download it from Yahoo weather etc. 6) Disable the RSS feed – I agree having anything unwanted on your screen is quite annoying, the RSS feed is one of those, it is at the bottom of the home page in kodi. It is on the official kodi page as well but now you can easily make it disappear by disabling it. All you have to do is just go to the Systems option- settings – appearances, there will be an option that shows RSS news feed, you have to simply disable it. 7) Add-ons are one of the best part of any software, especially kodi. They not only bring change and diversity to the functionality but also give you a rejuvenating experience. By following these simple steps you can easily find the add-ons System- settings- my adds on. The adds on are inbuilt ones and third party ones as well. 8) Setup a shutdown timer – Having a complete control over a software is pretty cool, and if you want the kodi to shut down automatically when you can customize this as well. For this, you have to click on the power button on the very left present on the kodi home screen, after you do that you will get an option of custom shutdown timer. 9) Escape buffering – Everyone hates when any video buffers, and I get it streaming a video with constant buffering can be annoying, now this trick works only if you have a good internet connection, just reduce the quality of your kodi stream and you can easily see stutter free videos, although it is not a major change I believe this is quite helpful. Kodi is an amazing software which works well with these tricks and hacks, you can improvise your own experience using these tricks. So make sure you do go through these tricks and pick the one you want and experiment and make your own experience better and better. Can A Nuchal Cord Be Treated?